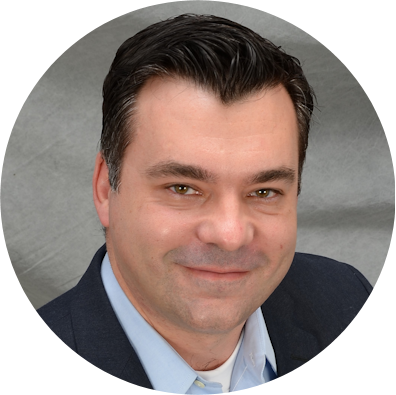 A data-driven organization quickly takes action to address changes in their business. However, in order to take action, users need to know when business conditions have changed. 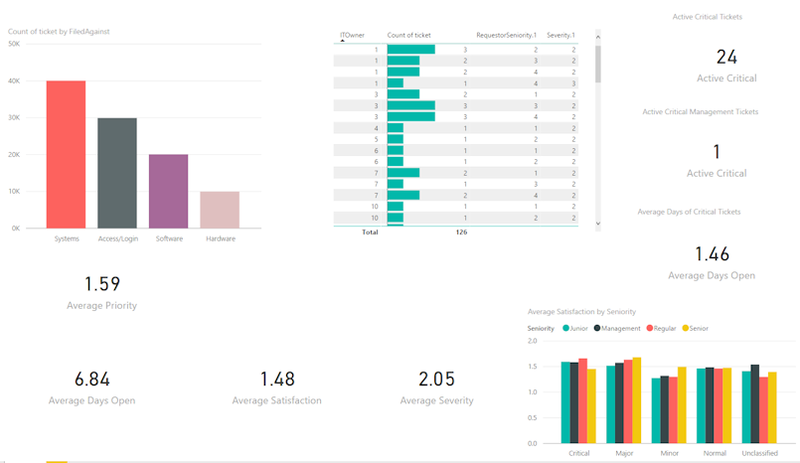 Dashboards published to the Power BI service can be configured to send alerts to users when the underlying data changes to meet limit conditions set on gauge, KPI, and card visualizations. Let’s take a look at how data alerts work in the Power BI service. While some of the metrics on this dashboard are useful for understanding long-term trends and satisfaction with customer support, the critical tickets, especially those opened by senior management, need to be closely monitored and handled within a service level agreement (SLA). With Power BI service, once the dashboard is published to users, individuals can create an alert to notify them if the value of the card changes beyond a threshold. To create an alert, hover over a tile in the dashboard and then click the ellipsis in the top right of the tile. This will open a context menu. Clicking on the Bell icon (shown above) will open the Manage alerts pane for that visualization. Clicking on + Add alert rule enables users to create an alert for that tile. 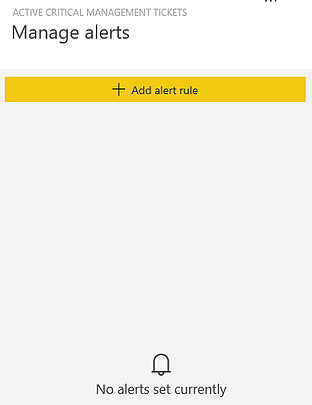 Users can then give the alert a title, set the rule for any measure in the visualization, set the condition and threshold for the alert to trigger, set the notification frequency, and decide whether the alert will only show in the Power BI service notification center or if it will also trigger an email to be sent to the user setting the alert. For this dashboard, we will create an alert if any member of senior management opens a critical ticket. Each visualization can have multiple alerts. For example, you might want to create additional alerts on the tile above so that an additional alert will trigger if the number of open tickets rises above 5. While the use of alerts in the Power BI service is helpful in keeping a user aware of changes to the dashboard data, there are some limitations that can be problematic. The first is that alerts are created and managed by each user of the dashboard. So, for users to receive alerts, each one of the dashboard users must configure them individually. In addition, each user must set the parameters for the alerts individually. If an organization has specific targets in mind for alerts to be created, then all users creating the alerts must be sure to use the same parameters. 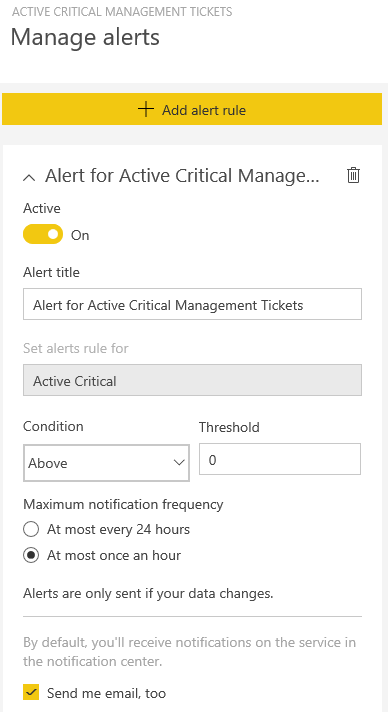 Finally, the method for delivering alerts is limited to a notification in the Power BI service, or an email that will be sent to that user only, and on an hourly or every 24-hour schedule. In summary, the alert function in the Power BI service is generally designed for individuals to set their own alerts to notify themselves of changes to the data they care about. But what about instances where the alert parameters should be uniform across all the users of a dashboard? Or if an organization wants to configure alerts for several users without each individual having to configure their own alerts? Or if notification methods other than a message in the Power BI service notification center or an email to a single user are desired? Fortunately, Microsoft has another service that can address all of these scenarios with ease, and can offer much, much more. 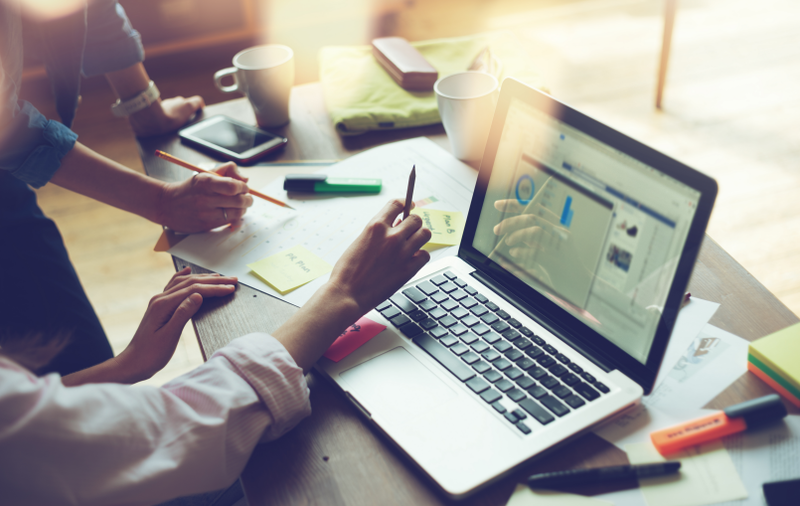 Microsoft Flow is a cloud-based automation service that enables businesses to create workflows in a simple, drag-and-drop interface – and better yet, it is included with an Office 365 subscription. Flow is ideally suited for automating processes and tasks within and between various services. 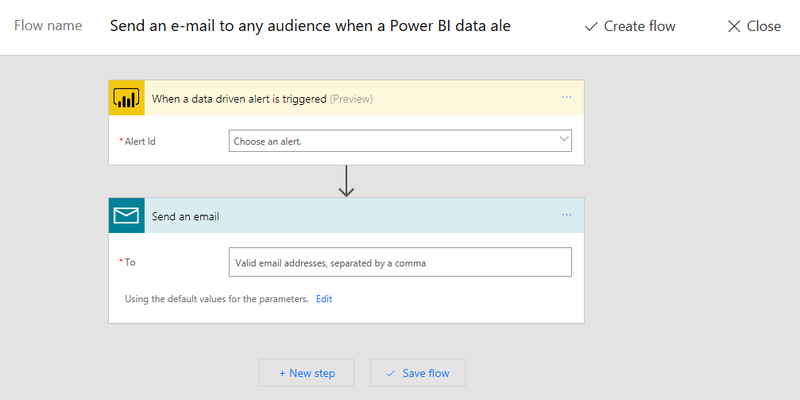 While there are many services that can be used with Microsoft Flow, we’re going to focus on how we can use it to turn Power BI alerts into actions that will drive your business. After logging into Flow, click on Templates in the toolbar and type ‘Power BI’ into the search bar. As you can see below, there are already quite a few templates that use Power BI data alerts to trigger complex workflows. For this example, let’s use ‘Send an e-mail to any audience when a Power BI data alert is triggered’. Before we begin, let’s note that Flow has templates available to send the message to other services, like Microsoft Teams, Slack, or GitHub, and can even create a task in Wunderlist or send a text message to a phone. After clicking on the template (lower left corner), you’ll be prompted to sign into the services being used in the flow if you haven’t done so already. Once you have signed in, click continue to open the flow editor. You will notice that this template has two items: a trigger and an action. 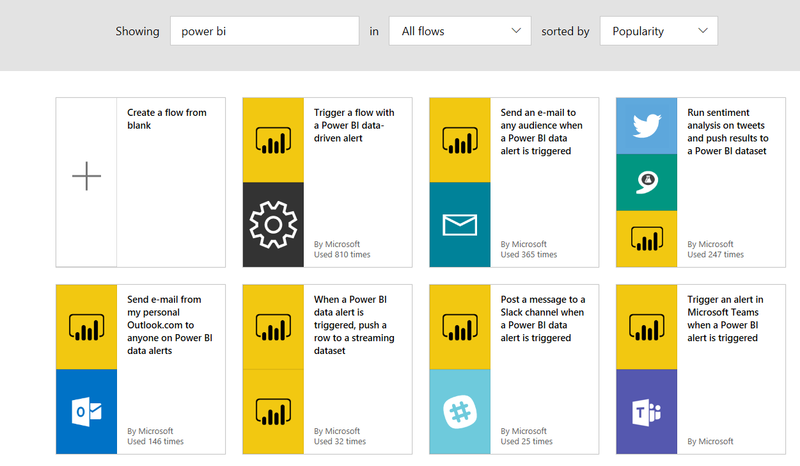 The trigger item in this flow fires when a data alert in the Power BI service is activated. When you click the dropdown list, you should see a list of all the data alerts published to your dashboards and can choose the alert you want to use in the flow. 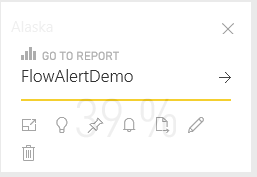 Remember, by using Flow and the Power BI trigger, you can use a single data alert in the Power BI service to send alerts to as many people in the organization as you want, rather than having each user of the dashboard set up the alerts and define the conditions for the trigger individually. Once you have chosen the alert you want, you can move to the Send an email action. You can add individual emails, distribution lists, security groups, and others in the “To” field. Again, this allows you to deliver notifications to users in an organization in a more targeted fashion than having individual users set up their own alerts. In addition, Flow allows you to customize the subject and body of the email that will go out to users, and you can include “dynamic content” in those fields of the email. 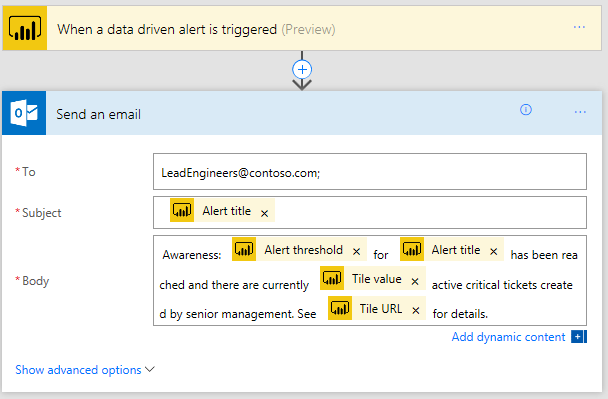 Dynamic content is information provided by the Power BI service, which in this case could include the title of the alert, the value of the tile that triggered the alert, the threshold for the alert, and the URL to the tile. The user receiving this email would have a great deal of information about why they were alerted. Using the example of the Support Dashboard above, we can configure a flow to send a customized email to the lead engineers email group notifying them when a critical ticket has been opened by senior management. Microsoft Flow also provides configurations that cause actions to repeat until value thresholds are met, or conditional statements to add additional actions to a flow. For example, we could include a conditional statement in this flow that would send an email to the senior engineers unless a certain threshold was reached, at which point an email notification would also be generated for support team management. Alternatively, we can add parallel branches to the flow which would trigger additional actions, perhaps creating a Wunderlist task and an item in a SharePoint list in addition to sending the email, or even sending a text message to a manager’s phone. In conclusion, while the Power BI service provides alerting functionality that enables individual dashboard users to set alerts and notify themselves when values change, using Power BI alerts with Microsoft Flow enables organizations to create sophisticated workflows that can notify groups of individuals, create tasks and work items, and set conditions to trigger additional actions if thresholds are reached. 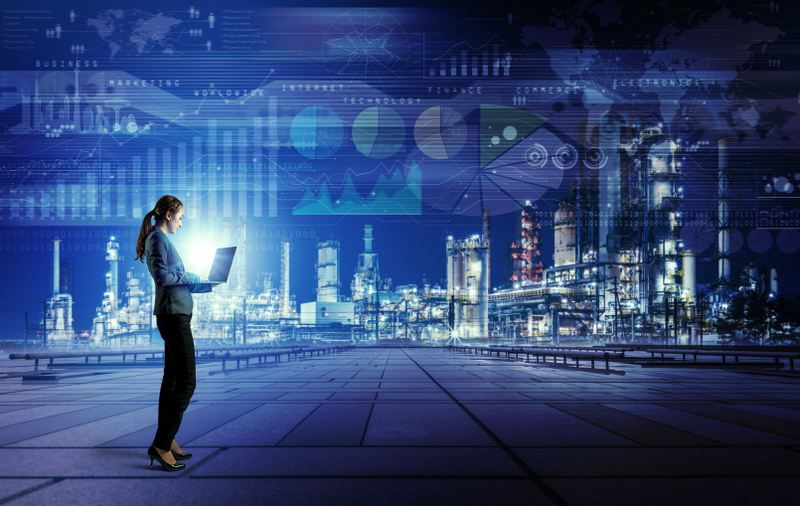 Using Power BI and Microsoft Flow together can help move your business from an environment where users are simply being made aware of changes to business data to one where data alerts trigger workflows that can help them quickly take the correct action. Creating the right metrics, alert thresholds, and Microsoft Flows to drive business action can be complicated. 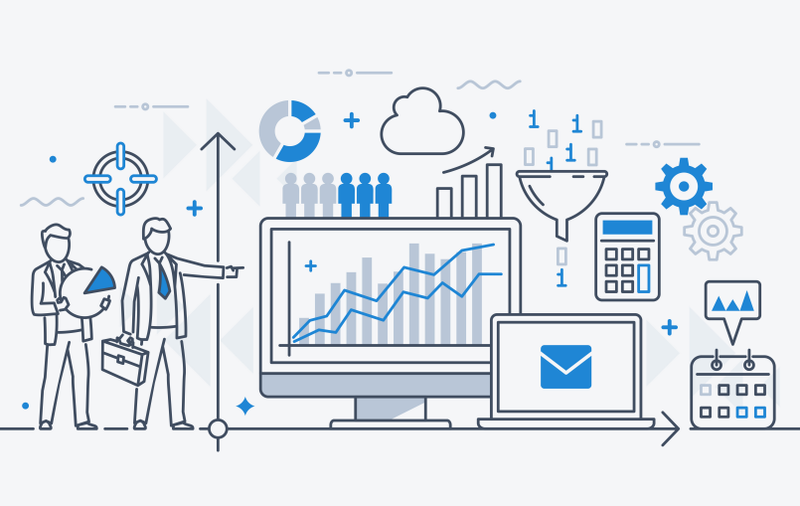 If you have a question or want to know more about how BlueGranite can help your organization use Power BI alerts and Microsoft Flow, contact us!